a series of connected neurons which communicate due to neurotransmission. The interface through which neurons interact with their neighbors consists of axon terminals connected via synapses to dendrites on other neurons. If the sum of the input signals into one neuron surpasses a certain threshold, the neuron sends an action potential at the axon hillock and transmits this electrical signal along the axon. In 1949, Donald O. Hebb introduced his theory in The Organization of Behavior, stating that learning is about to adapt weight vectors (persistent synaptic plasticity) of the neuron pre-synaptic inputs, whose dot-product activates or controls the post-synaptic output, which is the base of Neural network learning . Already in the early 40s, Warren S. McCulloch and Walter Pitts introduced the artificial neuron as a logical element with multiple analogue inputs and a single digital output with a boolean result. The output fired "true", if the sum of the inputs exceed a threshold. In their 1943 paper A Logical Calculus of the Ideas Immanent in Nervous Activity , they attempted to demonstrate that a Turing machine program could be implemented in a finite network of such neurons of combinatorial logic functions of AND, OR and NOT. Artificial Neural Networks (ANNs) are a family of statistical learning devices or algorithms used in regression, and binary or multiclass classification, implemented in hardware or software inspired by their biological counterparts. The artificial neurons of one or more layers receive one or more inputs (representing dendrites), and after being weighted, sum them to produce an output (representing a neuron's axon). The sum is passed through a nonlinear function known as an activation function or transfer function. The transfer functions usually have a sigmoid shape, but they may also take the form of other non-linear functions, piecewise linear functions, or step functions . The weights of the inputs of each layer are tuned to minimize a cost or loss function, which is a task in mathematical optimization and machine learning. The perceptron is an algorithm for supervised learning of binary classifiers. It was the first artificial neural network, introduced in 1957 by Frank Rosenblatt , implemented in custom hardware. In its basic form it consists of a single neuron with multiple inputs and associated weights. In 1974, Paul Werbos started to end the AI winter concerning neural networks, when he first described the mathematical process of training multilayer perceptrons through backpropagation of errors , derived in the context of control theory by Henry J. Kelley in 1960  and by Arthur E. Bryson in 1961  using principles of dynamic programming, simplified by Stuart E. Dreyfus in 1961 applying the chain rule . It was in 1982, when Werbos applied a automatic differentiation method described in 1970 by Seppo Linnainmaa  to neural networks in the way that is widely used today    . Backpropagation is a generalization of the delta rule to multilayered feedforward networks, made possible by using the chain rule to iteratively compute gradients for each layer. Backpropagation requires that the activation function used by the artificial neurons be differentiable, which is true for the common sigmoid logistic function or its softmax generalization in multiclass classification. Along with an optimization method such as gradient descent, it calculates the gradient of a cost or loss function with respect to all the weights in the neural network. The gradient is fed to the optimization method which in turn uses it to update the weights, in an attempt to minimize the loss function, which choice depends on the learning type (supervised, unsupervised, reinforcement) and the activation function - mean squared error or cross-entropy error function are used in binary classification . The gradient is almost always used in a simple stochastic gradient descent algorithm. In 1983, Yurii Nesterov contributed an accelerated version of gradient descent that converges considerably faster than ordinary gradient descent    . Deep learning has been characterized as a buzzword, or a rebranding of neural networks. A deep neural network (DNN) is an ANN with multiple hidden layers of units between the input and output layers which can be discriminatively trained with the standard backpropagation algorithm. Two common issues if naively trained are overfitting and computation time. Convolutional neural networks (CNN) form a subclass of feedforward neural networks that have special weight constraints, individual neurons are tiled in such a way that they respond to overlapping regions. A neuron of a convolutional layer is connected to a correspondent receptive field of the previous layer, a small subset of their neurons. A distinguishing feature of CNNs is that many neurons share the same bias and vector of weights, dubbed filter. This reduces memory footprint because a single bias and a single vector of weights is used across all receptive fields sharing that filter, rather than each receptive field having its own bias and vector of weights. Convolutional NNs are suited for deep learning and are highly suitable for parallelization on GPUs . They were research topic in the game of Go since 2008 , and along with the residual modification successful applied in Go and other games, most spectacular due to AlphaGo in 2015 and AlphaZero in 2017. Residual nets add the input of a layer, typically composed of a convolutional layer and of a ReLU layer, to its output. This modification, like convolutional nets inspired from image classification, enables faster training and deeper networks  . Applications of neural networks in computer games and chess are learning of evaluation and search control. Evaluation topics include feature selection and automated tuning, search control move ordering, selectivity and time management. The perceptron looks like the ideal learning algorithm for automated evaluation tuning. In the late 80s, Gerald Tesauro pioneered in applying ANNs to the game of Backgammon. His program Neurogammon won the Gold medal at the 1st Computer Olympiad 1989 - and was further improved by TD-Lambda based Temporal Difference Learning within TD-Gammon . Today all strong backgammon programs rely on heavily trained neural networks. In 2014, two teams independently investigated whether deep convolutional neural networks could be used to directly represent and learn a move evaluation function for the game of Go. Christopher Clark and Amos Storkey trained an 8-layer convolutional neural network by supervised learning from a database of human professional games, which without any search, defeated the traditional search program Gnu Go in 86% of the games    . In their paper Move Evaluation in Go Using Deep Convolutional Neural Networks , Chris J. Maddison, Aja Huang, Ilya Sutskever, and David Silver report they trained a large 12-layer convolutional neural network in a similar way, to beat Gnu Go in 97% of the games, and matched the performance of a state-of-the-art Monte-Carlo Tree Search that simulates a million positions per move . In 2015, a team affiliated with Google DeepMind around David Silver and Aja Huang, supported by Google researchers John Nham and Ilya Sutskever, build a Go playing program dubbed AlphaGo , combining Monte-Carlo tree search with their 12-layer networks . 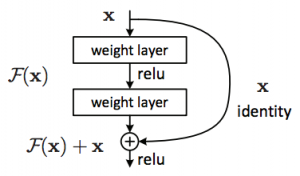 Logistic regression as applied in Texel's Tuning Method may be interpreted as supervised learning application of the single-layer perceptron with one neuron. This is also true for reinforcement learning approaches, such as TD-Leaf in KnightCap or Meep's TreeStrap, where the evaluation consists of a weighted linear combination of features. Despite these similarities with the perceptron, these engines are not considered using ANNs - since they use manually selected chess specific feature construction concepts like material, piece square tables, pawn structure, mobility etc..
More sophisticated attempts to replace static evaluation by neural networks and perceptrons feeding in more unaffiliated feature sets like board representation and attack tables etc., where not yet that successful like in other games. Chess evaluation seems not that well suited for neural nets, but there are also aspects of too weak models and feature recognizers as addressed by Gian-Carlo Pascutto with Stoofvlees , huge training effort, and weak floating point performance - but there is still hope due to progress in hardware and parallelization using SIMD instructions and GPUs, and deeper and more powerful neural network structures and methods successful in other domains. In December 2017, Google DeepMind published about their generalized AlphaZero algorithm. Concerning move ordering - there were interesting NN proposals like the Chessmaps Heuristic by Kieran Greer et al. , and the Neural MoveMap Heuristic by Levente Kocsis et al. . In 2015, Matthew Lai trained Giraffe's deep neural network by TD-Leaf . Zurichess by Alexandru Moșoi uses the TensorFlow library for automated tuning - in a two layers neural network, the second layer is responsible for a tapered eval to phase endgame and middlegame scores . In 2016, Omid E. David, Nathan S. Netanyahu, and Lior Wolf introduced DeepChess obtaining a grandmaster-level chess playing performance using a learning method incorporating two deep neural networks, which are trained using a combination of unsupervised pretraining and supervised training. The unsupervised training extracts high level features from a given chess position, and the supervised training learns to compare two chess positions to select the more favorable one. In order to use DeepChess inside a chess program, a novel version of alpha-beta is used that does not require bounds but positions αpos and βpos . In December 2017, the Google DeepMind team along with former Giraffe author Matthew Lai reported on their generalized AlphaZero algorithm, combining Deep learning with Monte-Carlo Tree Search. AlphaZero can achieve, tabula rasa, superhuman performance in many challenging domains with some training effort. Starting from random play, and given no domain knowledge except the game rules, AlphaZero achieved a superhuman level of play in the games of chess and Shogi as well as Go, and convincingly defeated a world-champion program in each case . Richard Sutton (1988). Learning to Predict by the Methods of Temporal Differences. Machine Learning, Vol. 3, No. 1, pp. 9-44. Kluwer Academic Publishers, Boston. ISSN 0885-6125. Kieran Greer, Piyush Ojha, David A. Bell (1997). Learning Search Heuristics from Examples: A Study in Computer Chess. Seventh Conference of the Spanish Association for Artificial Intelligence, CAEPIA’97, November, pp. 695-704. Kumar Chellapilla, David B. Fogel (1999). Evolving Neural Networks to Play Checkers without Expert Knowledge. IEEE Transactions on Neural Networks, Vol. 10, No. 6, pp. 1382-1391. Nicol N. Schraudolph (2012). Centering Neural Network Gradient Factors. ↑ Jürgen Schmidhuber (2015) Critique of Paper by "Deep Learning Conspiracy" (Nature 521 p 436). This page was last edited on 20 March 2019, at 14:06.